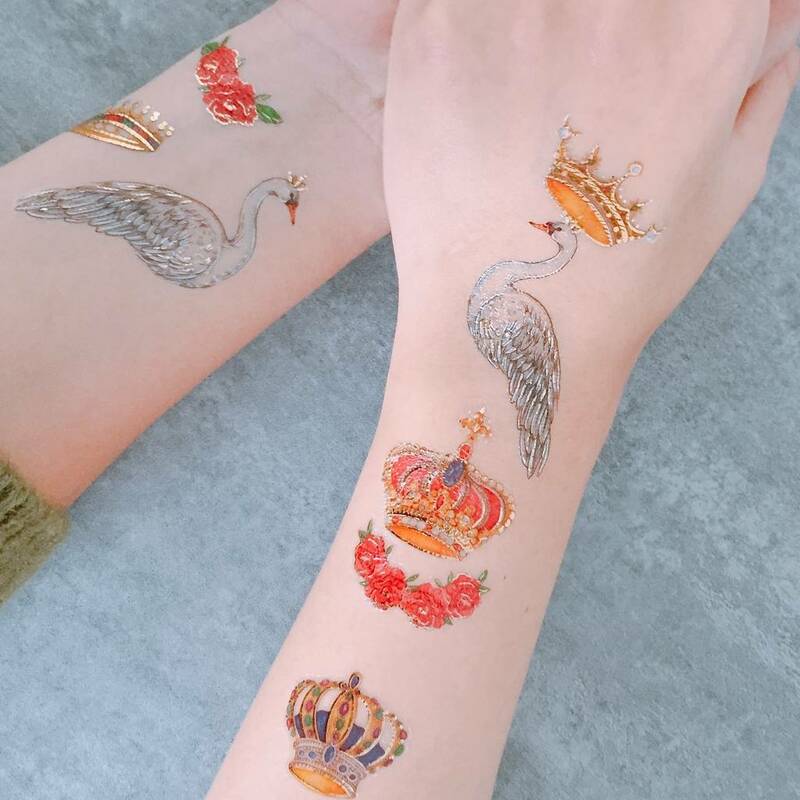 A royal swan temporary tattoo! 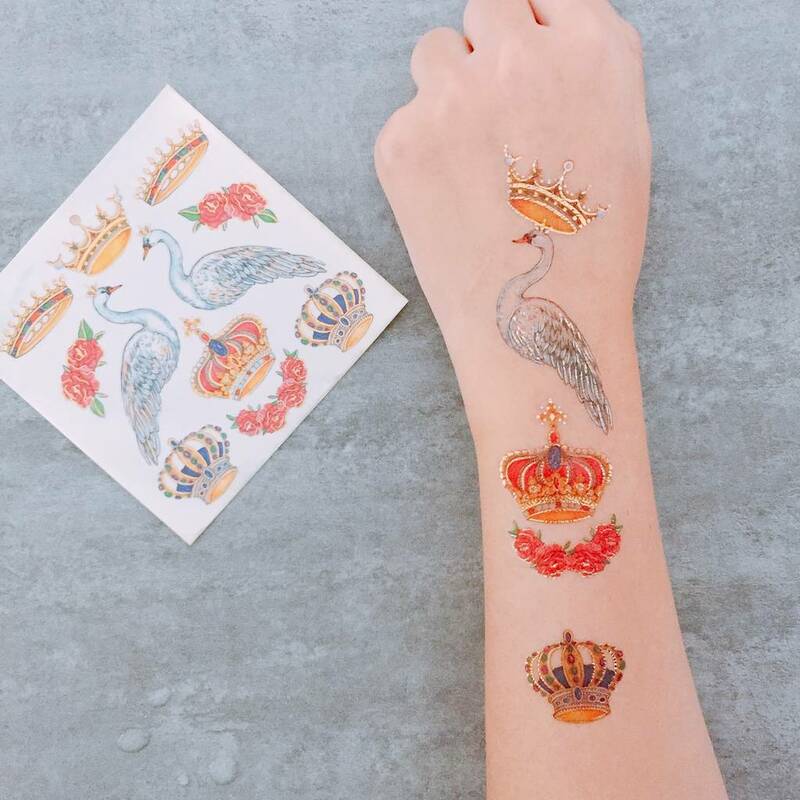 Get in the Royal wedding spirit with this regal temporary tattoo! 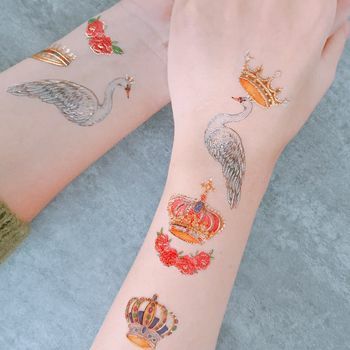 Nothing is more regal than these elegant white swans! 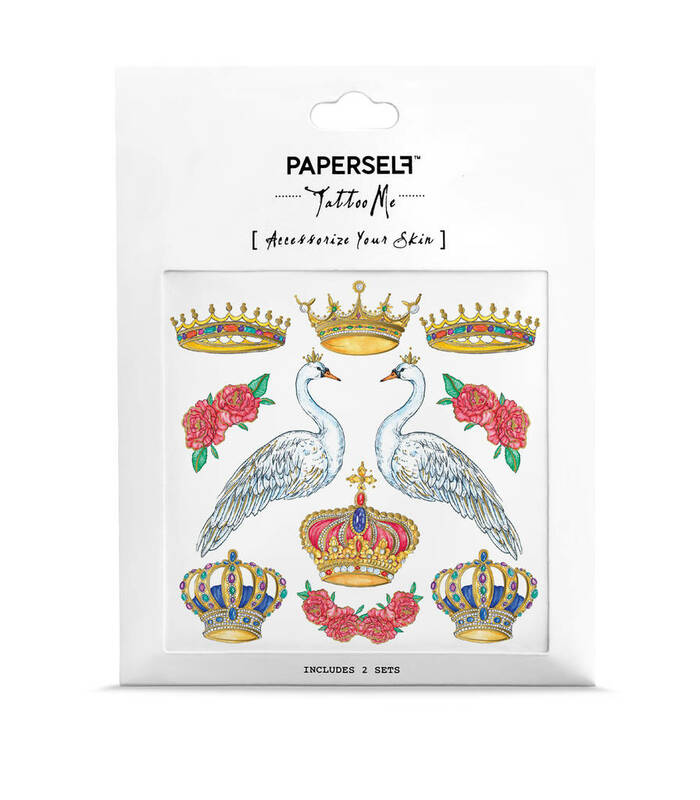 Decorate with golden crowns and red English roses!